OWoN: When China and Russia are undertaking the largest Naval Exercises ever, the costs is enormous and it's for a reason. 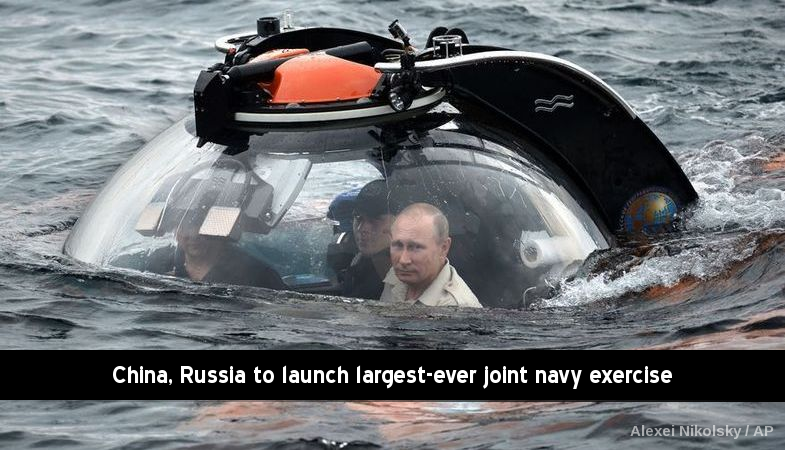 President Vladimir Putin made headlines in the area Tuesday by joining a Russian navy team aboard a small vessel that plunged into the Black Sea along the coast of the Crimean Peninsula, which Moscow annexed from Ukraine last year. The U.S. Naval Institute’s online news and analysis portal, USNI, said Tuesday that the coming China-Russia exercises will be the second series of joint drills in less than a year. 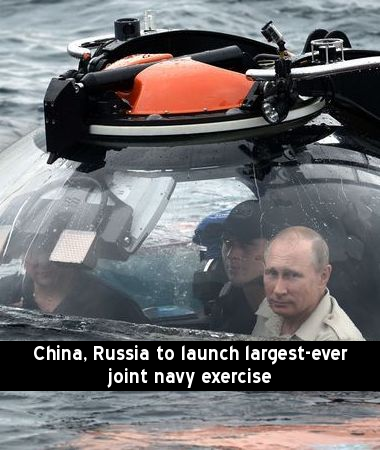 Russia Today also reported that the upcoming exercises mark the first time the Chinese Navy has taken part in a joint operation in the Sea of Japan, which borders North and South Korea and Russia, as well as Japan. China’s state-run Xinhua news service reported this week that seven Chinese warships had left the port of Qingdao for the Sea of Japan where they will join Russian counterparts for the upcoming nine days of exercises.